Hoping to freshen up your home's exterior, increase curb appeal, protect your investment or add value to its upcoming sale price? Choosing to paint your Hunters Creek Village house is one of the first approaches you should consider. After you have decided to paint your exterior, you'll need to choose a Hunters Creek Village house painting contractor to get the job done right. That's where Palmer Pro comes in. A tried and true, owner-operated business since 2015, Palmer Pro provides residents with a simple way to breathe new life into your home. Having Palmer Pro paint your house is an investment you'll never regret. Call today for a free estimate: (832) 410-1868. Why Have Your Hunters Creek Village Home Painted? Fresh paint improves your home's look and makes it more attractive to potential buyers. This a smart choice that will pay off big for anyone considering listing their home in the next few months. Boost your home's curb appeal and (its ticket price) by calling Palmer Pro to apply a fresh coat of paint. 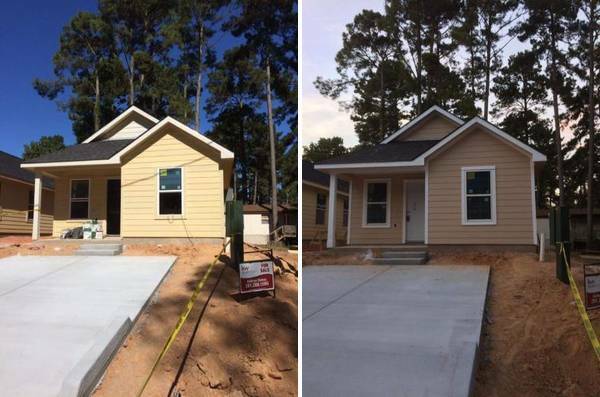 While not all home investments deliver a positive ROI, painting your Hunters Creek Village house is one that does. Even if you're not planning to sell, painting can transform a house into a home. When it comes time to have your Hunters Creek Village home painted, you need a crew that will be as professional and courteous as it is experienced. We at Palmer Pro have been in the house painting business for 4 years. Each and every day, our trusted contractors provide reliable painting services in Hunters Creek Village for families and businesses. Whether you're painting a complete home or just touching up the shutters and trim, we're happy to help you get the job done.